With the Leatherman Crater® c33Tx you never have to say, "I only have my knife on me." 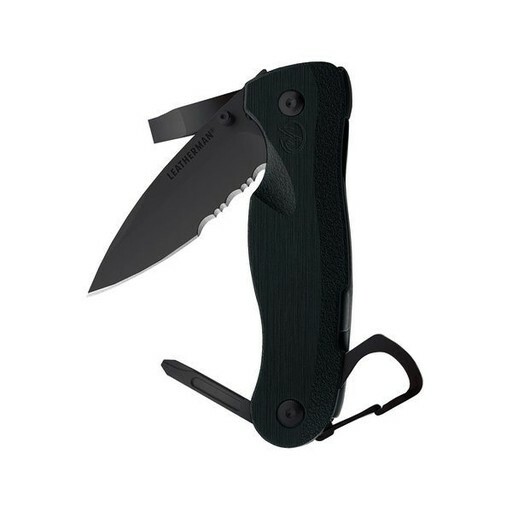 Built in screwdrivers are perfect for the quick tightening or prying job, and the razor sharp 420HC combo straight/serrated blade and pocket clip complete the tight little package we call the Crater c33Tx folding knife. 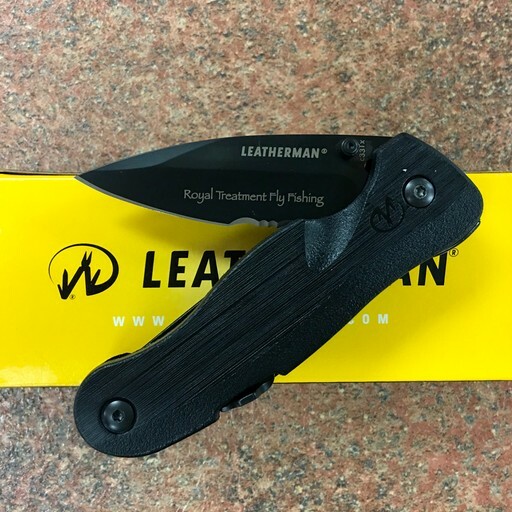 The blade is engraved with the name of your favorite fly shop.